AppTech are centred in giving back to the culture and heritage of New Zealand, and we aim to help facilitate and bridge technological advancements for Maori and Pacific Island communities and organisations. We are currently partnering and working along Maori iwi with ideas and programs that will be game changers. Whether your'e a Marae, iwi, Maori Trust, and or Whanau who have some ideas that you would like to build into a digital presence, then AppTech will be the name to call on. AppTech's Director understands the Maori Protocol needed in associating kaupapa and traditional value with structures. 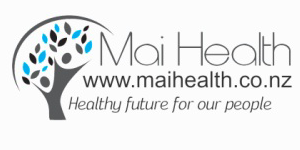 Mai Health, is a planned initiative which aims to attend to health issues within Maori Communities. This initiative was supported by App Technologies to help with addressing these issues through Mobile and Web Technology. This is still in its early stages of its development. Think Maori is an incredibly intuitive Maori Language, software application that aims to encourage the growth of the Maori Language by incorporating a full end-to-end Maori learning Lessons program. ThinkMaori has the ability to really tap into many language gaps that the New Zealand education curriculum fails to deliver on.